April 13th Show : Blog Of The Nation In the first hour of Talk of the Nation, an NPR News special on President Obama's speech on government spending. In the second hour, Caroline Kennedy talks about her collection of poetry, and protests in Syria. 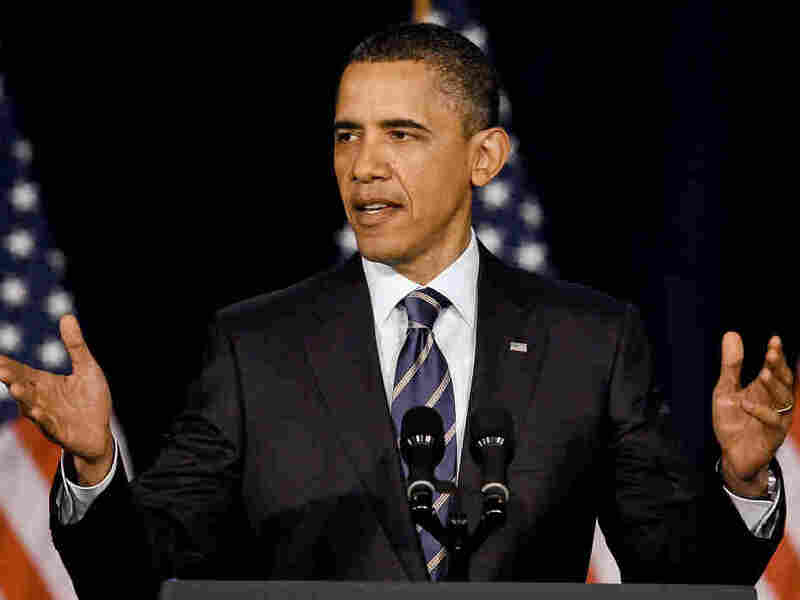 President Barack Obama today will lay out a broad plan to corral government spending and cut the deficit. He's expected to propose lower spending for Medicare and Medicaid, higher taxes on the wealthy and cuts in defense programs. The White House says his plan will borrow from recommendations made by his bipartisan fiscal commission. It will also likely veer far from the plan Rep. Paul Ryan unveiled last week. Ryan, (R-WI) the chair of the House Budget Committee, called for about $5 trillion in cuts over the next decade. NPR correspondents Mara Liasson and John Ydstie will join host Neal Conan for special coverage of the president's speech. We'll also hear Congressional reaction from both sides of the aisle. In her latest book, Caroline Kennedy collects dozens of poems that have inspired her at various milestones in her life — as a daughter, a woman and a wife. Kennedy joins host Neal Conan to talk about the role of poetry in her relationships and her life and to talk about the book, She Walks In Beauty: A Woman's Journey Through Poems. The poems of Elizabeth Alexander appear several times in the collection and she will also join the conversation to talk about the relationship between the poet and the reader and how she takes her audience into consideration when writing. As the protests continue in Syria against President Bashar al-Assad's government, security forces have reportedly killed, detained, and injured dozens of demonstrators. President Assad's grip on power remains uncertain and the uprising poses a dilemma for the United States. Host Neal Conan talks with Joshua Landis, the Director of the Center for Middle East Studies at the University of Oklahoma, about what's at stake in Syria — for the U.S. and the region.